The storage of steel structure can be stored in the open air, or in the warehouse with roof. When stacking in the open, the site should be flat, and should be higher than the surrounding ground, leaving gutters around; When stacking, we should try to make the back of the steel structure section upward or outward to avoid snow, stagnant water, the two ends should have height difference, for drainage. When stacked in a warehouse with a roof, can be directly stacked on the floor. Shumbang Steel structure Co., Ltd. does very well at this point, after the completion of production, the number will be arranged in an orderly manner, stored in each layer to put some corrugated wood to prevent damage and deformation of the steel structure. The steel structure of the pile to minimize deformation and corrosion of steel structure; steel structure stacking every 5~6 layer placed supporting wood so as not to cause the spacing, the bending deformation of the steel structure was suitable to supporting wood on the alignment, in the same vertical plane; consider a certain width of the channel to transport materials stacked between the left. The end of the steel structure shall be marked with signs indicating the specification , steel number , quantity and material acceptance certificate number of the steel structure . The steel structure shall be ordered according to its specifications . The end of the steel structure shall be painted with paint of different colors according to its steel number . The signs of the steel structure shall be periodically checked . The inspection system must be strictly carried out before the formal storage of steel structures, and only the qualified steel structures can go through the procedures of storage. 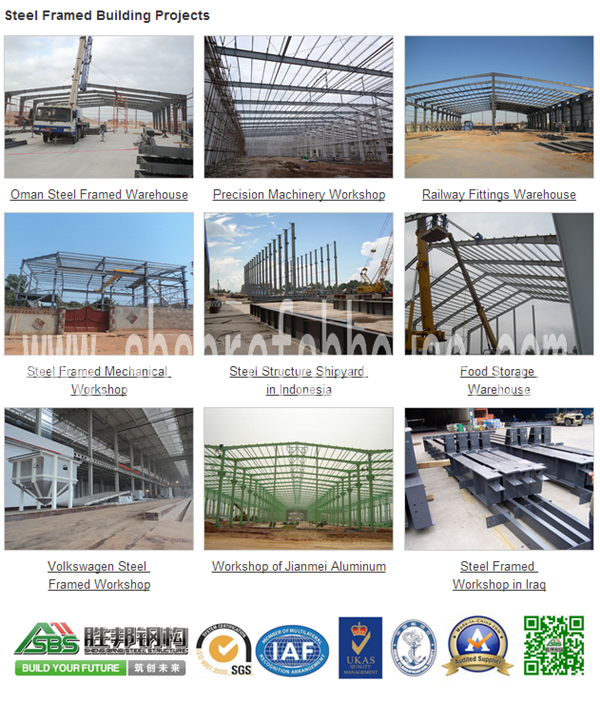 The main contents of steel structure inspection are: the quantity of steel structure, the variety and the order contract; The quality guarantee of the steel structure accords with the mark printed on the steel structure; Check the size of steel structure; Surface quality inspection of steel structures. As a system control project , the roof waterproof works of the steel structure can affect the whole project quality , cause leakage , severe and even damage to the equipment in the plant . In order to avoid unnecessary loss , the roof of the steel structure building is leaking , which must cause a high elevation .